The essence of success or even survival as a specie or as an individual has been –and will be – staying relevant in the bigger scheme of things – the human race being no exception, our tools and methods of ensuring survival may have become more sophisticated over the years but their primary objective remain the same. Of course our stated objectives are oft coated with a veneer of civility like say “making a difference” or “creating value” for the society, but stripped of all its niceties all these terms are euphemism for the basic survivalist instinct of staying relevant. It is for this reason capitalism has – and probably will – remain the essentially organic all encompassing philosophy that transcends all geo-political and socio economic barriers. In all possibility even Bertrand Russell had no idea how right he was when he said “knowledge is power”. If there is a single golden rule for staying relevant in today’s world it is to stay with if not ahead of the knowledge curve – a task that is becoming increasingly challenging given the exponential rate of change the world has seen almost on all fronts. By obvious extrapolation it follows that the quality of education one obtains is becoming an issue of ever increasing importance. In a world of changing success paradigms, the definition of a “quality education” has also metamorphosed into something with more “survivalist” connotations. Academics, researchers and professionals can no longer be insulated in their glass houses from the hitherto murky world of real world business diktats; neither can degrees continue to be a piece of paper that gives them a starting advantage over their contemporaries. Fresh graduates no longer have the luxury of a “honeymoon” period. In this day and age the business world demands market ready professionals who can hit the ground running and start delivering from day one. Among the lucky who survive the challenge of course is to stay relevant. Positions, jobs or even departments are constantly being rendered redundant and to paraphrase Charles Dickens “these may be the best of times, but not certainly the worst of times”. The obvious solution is to stay mobile. Mobility has become the buzzword crucial to the survival as a professional in today’s world, mobility that is not just guaranteed by ones nationality – but by ones competencies and perceived contributions to the global business model as a professional. Depending on one’s perspective (east or west) one of the biggest flip sides to the story of globalization – albeit unintended – has been the free flow of high end trained labor across markets, whereas this has brought many of the former economic powerhouses to their knees – as their pampered denizens fight for their “overpriced and underworked” way of life – it is no secret that it has opened up a whole new vista of opportunities for a select sector of trained manpower within the “third world countries” – with somewhat mercenary ethics. But as with everything there is a dark lining to this silver cloud, as complacency sets in, the “nouveau rich” breed of third world professionals run the risk of falling into the same trap of easy money as their western counterparts and -keeping with the laws of business – run the risk of being made redundant once they outlive their utility cycle. For as with technology – skills and knowledge come with a lifespan as well. Globalization is the word today. International business has risen, cultural exchanges are taking place. As a result, number of students wanting to study abroad to gain valuable international exposure is increasing day by day. Also, increasing scholarships abroad and easy availability of loans have added to this trend. Hence, foreign education is on the rise and will keep doing so in future. But there are few important points which have to be kept in mind by both students and their parents while taking the important decision of foreign studies. A wrong country selection can be detrimental for your career. Many Indian students expect jobs after studies in foreign countries. But this is not possible in many countries. Jobs are given depending on the vacancies in a particular field. If a student is guaranteed admission within 15 days or without any exams or on less marks,then there are chances of fraud and exploitation of the student. It is always better to go with the course which is most preferred while going for abroad education. It is always wise to contact your Indian counterparts at the university which you have selected because many times their advice will be valuable to you in making decisions. be watchful at every step while choosing your counselor. Consider his/her qualifications, experience in this field. Many agents play with the students career by sending them to wrong universities just for the sake of making money. Many parents are unaware of the total financial estimates associated with foreign studies and many end up getting duped by this commission agents. Hence, parents must always contact universities and confirm the total amount of money required for the course. Considering the number of Indian students going abroad every year for education, the number of institutes have also mushroomed up. Some are genuinely in the business of making the careers of these students while some are just for exploiting the students for filling their own pockets. 1. USA universities stress on research work and academic studies equally. That’s why students get scholarships while doing research work. Hence American education is considered best today with students from various countries studying there. In that also, the percentage of Indian students is far higher. This is coupled with the easy availability of loans from Indian banks thus enabling the middle class to dream of studying in USA. 2. When you approach any counselor who is into sending students abroad, be sure to ask the following things : Which field to study ? Which university to select ? How to raise funds, get scholarships and financial issues ? Guidance for VISA . Ensure that these things are properly addressed by the counselor. 3. If you don’t get proper guidance, then you can be playing with your career.Here, parents should be more cautious and alert. It is very important to understand that two types of counselors exist. First type are the one who act as commission agents for certain universities and send students to those universities only. Second type are the ones who donot act as commission agents and send students to universities solely on their merit. Since the First type counselors get commission from universities, they do not charge the students. But before approaching such counselors, parents and students must ensure whether the university and course offered fits his/her choice. 4. Foreign education builds students career but also involves investment from parents.So it was very necessary to get proper guidance. Think wisely before taking any decisions while choosing your counselor. – If the organization is certified or registered. 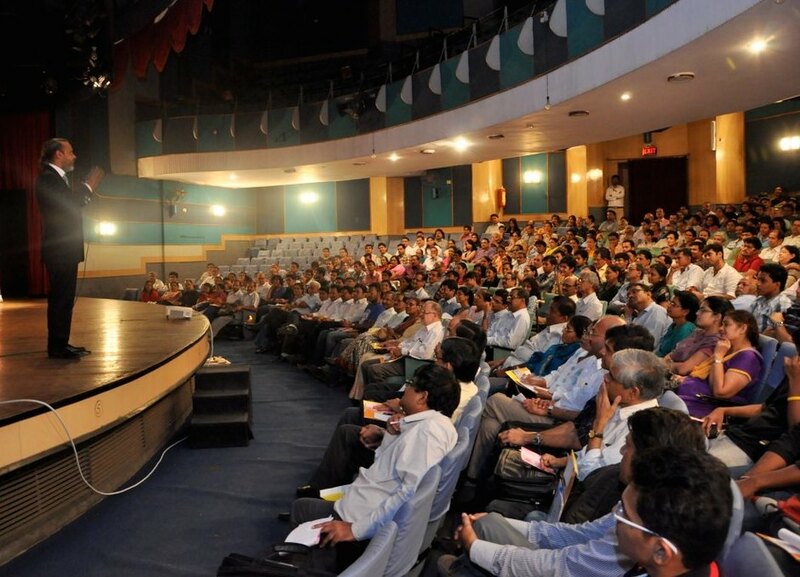 Seminars in Mumbai on 20th September 09 on SCHOLARSHIPS IN USA …Register now !! Foreign Academic Consultancy & Training ( FACT ) is organising Seminars in Mumbai on 20th September 2009 at Thane,Vashi,Dombivli,Andheri,Borivali and Dadar. The seminars are for participants interested in pursuing education abroad in USA. The seminars will give info about scholarships in USA as well as opportunities for Post HSC,Post Graduation and Medical field. FACT has placed more than 5000 students abroad in the past 8 years with most of them availing scholarships. Interested ones wanting to attend the seminars can register themselves on http://gurukulonweb.com/register_mumbai_seminar.html at the earliest..
Do spread the message !!! F.A.C.T. students rock Foreign Universities !!! The academic year has ended for most courses and students are busy planning their next career moves. Intense competition, limited opportunities and rising cost of education is making even the most competent students worry about their future. Most of these students do not realize that in the era of globalization, they need to sit with the map of the world to explore options and suddenly the doors to careers of there choice open. Planning careers after HSC has become a nightmare in the recent years. The intense competition for entrance tests and the necessity of taking different tests for different careers has left the students parents in immense concern regarding careers after 12th standard. One good and workable option for such students is to study abroad. The competition is far too less and the Indian students perform much better on international campuses making them eligible for high scholarships. So, low cost of education and easy admissions process has attracted increasing number of students to plan their careers abroad. However, most students and parents are unaware about the process and procedure for planning a successful career abroad. Engineers traditionally have been the largest community of students going abroad. However, the overexposure to the system results in mechanical approach to planning careers and as a result, though most engineering students get admissions, very few get scholarships and research opportunities in their area of interest.You need to have a clear strategy, an ability not just to collect information but “Analyze” the information to your advantage and work in a disciplined manner right from the third year of engineering. Moreover, at every stage of preparation, the students should know its likely impact on the admissions and scholarships decision. This will result in reducing the cost of education to a substantial 75%. Guidance is given by FACT (centers in Borivali,Nashik,Pune,Thane,Dombivali,Vashi,Andheri,Dadar) on how to plan a career path right from third year of engineering, the technique of selecting right universities and right program and most importantly, how to manage finances. Planning for career opportunities abroad for the Medical and Para Medical graduates is a complicated process. Most countries like to have stringent and complex rules structure for the ever sensitive health care sector. However, it is also true that many medical and para medical graduates want to fly abroad partly because of lucrative opportunities and partly because of intense competition and rising cost of post graduate education in India. These graduates often make a quick and ill informed decision and then regret for the lost time and money. In order to assist young graduates from medical and para medical branches, FACT provides career guidance for education abroad. In order to help the engineering students plan a successful career abroad with scholarships, Foreign Academic Consultancy and Training (F.A.C.T. ), a professional career guidance organization, is actively conducting research for availability of various career opportunities and scholarships abroad. The organization has 9 offices spread all over Maharashtra . In the last 8 years, FACT has guided more than 5000 students for higher education abroad with maximum students getting scholarships. Why study in the U.S.? Globalization and Internet revolution has shrunk the world into a global village. Boundaries of the nations are only politically important now. For the trade, commerce and industry, the world has become one market place. In such times, we need to have global compatibility to survive and grow. We need to have exposure to the various cultures and business practices of various countries. U.S. colleges are known worldwide for the quality of their facilities, resources, and faculty. Accreditation systems ensure that institutions continue to maintain these standards. The U.S education system features many types of institutions, academic and social environments, entry requirements, degree programs, and subjects in which you can specialize. A U.S. degree offers excellent value for the money. A wide range of tuition fees and living costs, plus some financial help from colleges, make study in the United States affordable for hundreds of thousands of international students each year. U.S. universities and colleges offer flexibility in choice of courses, but more importantly there is also the option for students to move from institution to another. Completing the first two years of a degree at one institution, usually a community college, and then moving to another, is very common. visit FACT to know more….